Got back from our fifth excursion to The Green Hell -- all in one piece. This year we drove a car with the full RSR suspension setup and slick tyres. The interior was even more stripped down that previous cars I've driven on the Nordschleife and the seat was so low I could that on the pictures I've seen of myself driving, I look like a kid who driving dad's car; I can just barely see over the steering wheel. All in the name of keeping the weight of the car down and the center of gravity low. The only gauge that worked was the fuel gauge, and on such a long track it was probably the one gauge I would rather not be without. I would have liked a speedo and a rev counter as well, but you don't really need them. I don't really use the speedo for anything and I shift by ear and feel -- except at Breidscheid, where the entry tends to get a bit busy and you'd like to make a note of how low you can go on the revs on entry while still maintaining enough momentum for Ex-Muhle. It is one of those corners where you don't want to screw up since the outer wall is concrete and there's a entry to the track on the right, so you want to do it with lots of margin for error. Unless compromised, Breidscheid is a fourth gear corner in the Alfa 75. If the revs drop below ~4000 rpm up Ex-Muhle you know it'll be painfully slow. I also got to feel what it is like to lose the tail on this setup. I went into T13 a bit quick on cold tyres and probably lifted slightly before the apex, losing the rear. (Someone suggested there might have been an oil spill there, but I doubt it. I think this one was all my fault). The car slid, then spun when the rear wheels made contact with either concrete or grass and ended up spinning 180 degrees. No real drama, but I wouldn't want to do that again. Physically, this trip was a bit more demanding than previous trips. For one, driving a car with a setup that offers a lot more grip is hard work; we were in fifth gear at the top of the rev range for much of the lap so things happen a lot faster. 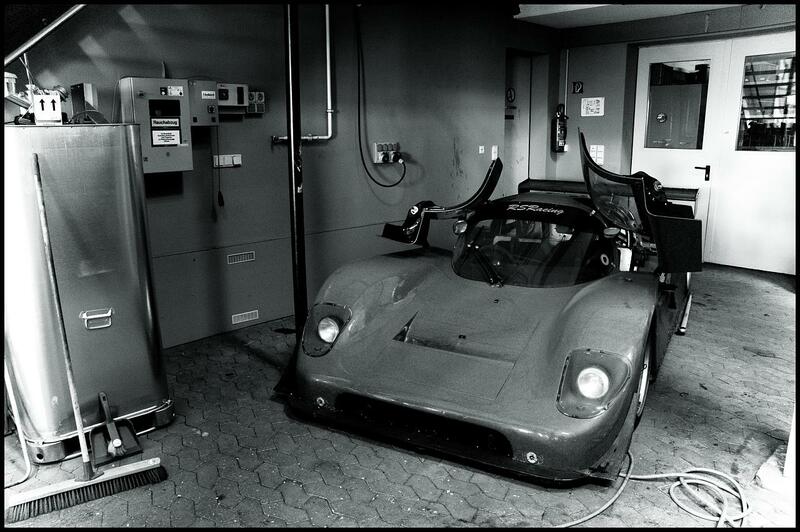 Also, it was hot, we drove with the windows shut and you could feel the heat from the engine through the firewall. I was soaked in sweat after each lap and had to drink lots of water not to get dehydrated. We also went to Kerpen the day before the track day, and the day after. Schumacher's family has a gokart facility there, so all in all we drove 6 heats on both the indoor and the outdoor track. I really liked the tracks. They were long, fairly interesting and well kept. 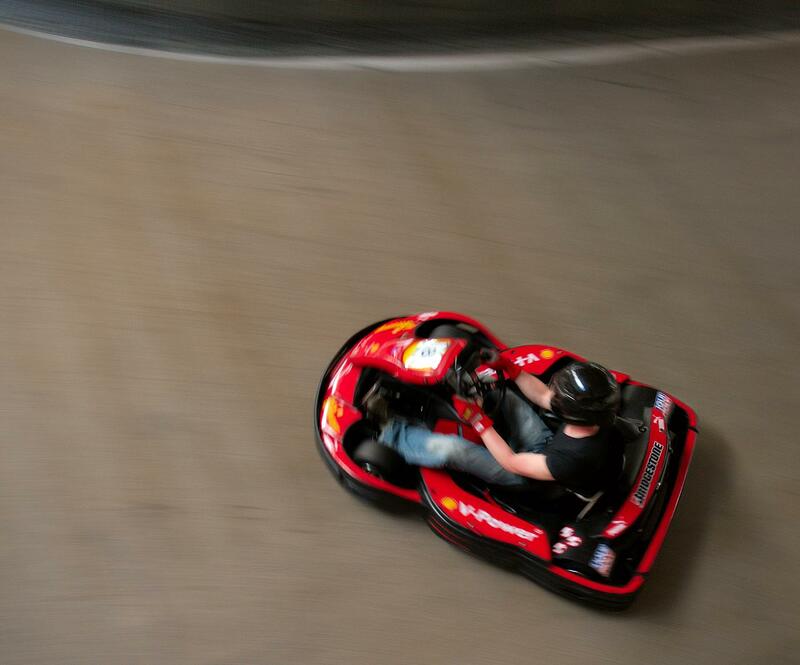 The gokarts were in good shape, although I would have liked them to have a bit more grunt; there was enough grip on the outdoor track to drive tighter lines, but not enough grunt to overcome the additional friction. Apparently germans have no idea what the blue flag means, so most passes of lapped karts turn into a contact sport and then both lose with regard to lap times. Had a great time though. Hopefully there will be another trip to the Ring this fall.